The BOSS staff have the same capabilities as Australian staff. The principals of accounting and tax are no different. They can do anything that an Australian accountant does in your office. The BOSS office works solely on Australian work. Training is comprehensive, consistent and ongoing. All staff go through a one month induction program when they join on Australian issues, six months on-the-job training as well as continuous monthly tax training sessions. We train them on common Australian accounting software. Tax and SNSF accountants also update themselves on tax issues via the CCH tax library and have access to the ATO portal and have colleagues around them to support them. 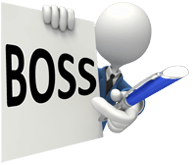 All BOSS accountants have free access to the Managing Director, Naveen Gowda, who brings in more than a decade of rich management expertise to BOSS. He has a track record of success in client management, key account management and service delivery for companies that operate in multiple countries. Aside from the Manager, as of 2015, we have four additional key staff who have passed their Australian Corporations Law and Taxation exams (with Distinction). BOSS India is a subsidiary of BOSS Australia & New Zealand. Our Managing Director, Naveen Gowda, oversees the whole Australian and Indian operation and the Managing Director, Peter Vickers, oversees Australian, Indian and New Zealand operations. With a dedicated permanent staff member, work is reviewed for free by a Trainer for the first six months as part of the training, our QA process and the process of integrating the accountant with you. After the free review period, you can opt to have us complete a review at a fraction of the cost of using an Australian supervisor to do the review. For quality assurance, unless we use your working papers, all work is done using our HowNow electronic working papers or BGL’s working papers and there is an option of all accounting work being reviewed before we hand it back to you. To monitor performance of any BOSS staff you engage on a permanent basis you are given access to our cloud based Work Flow Max system that tracks job status, budgets and actual time spent on a job. We have regular client service meetings and encourage daily chats with staff over Skype. All casual accounting and bookkeeping work is reviewed by a Reviewer before announcing it ready for you. We use HowNow, Xero or BGL working papers. To monitor the progress of jobs you are given access to our cloud based Work Flow Max system that tracks job status. We have regular client service meetings and encourage chats with staff over Skype. BOSS (Back Office Shared Services Pty Ltd) is New Zealand’s premium outsourcing provider supplying well-trained high-quality virtual accountants, outsourced accountants & bookkeepers. To discuss your needs and how we can help, Book a Consultation NOW!